A commissioned public art installation of our modern abstract steel sculpture Kismet, 2015. We recently explored the therapeutic benefits of healing gardens and nature’s impact on physical well being. But what about the importance of experiencing art, more specifically, abstract art? Why are we drawn to abstract art? What effect does it have on our brain and psyche? Some people believe that experiencing abstract or contemporary art gives our brains a type of neurological “workout” which makes us think more creatively. Creative thinking often leads to innovation. It may be that the evolutionary need for humans to innovate is one reason why we are attracted to abstract art, and one explanation as to why contemporary art makes us feel so good. Our perceptions of art follow the same neural pathways we use to comprehend reality. These pathways help us acquire and analyze sensory information and adapt to our environment. On the timeline of visual processing within the brain, early stages identify elementary components such as light, lines, edges, simple forms, colors, and movement while later stages reconstruct the components into recognizable objects. Art functions outside of these visual restrictions of reality, allowing artists the freedom to manipulate and deconstruct objects. 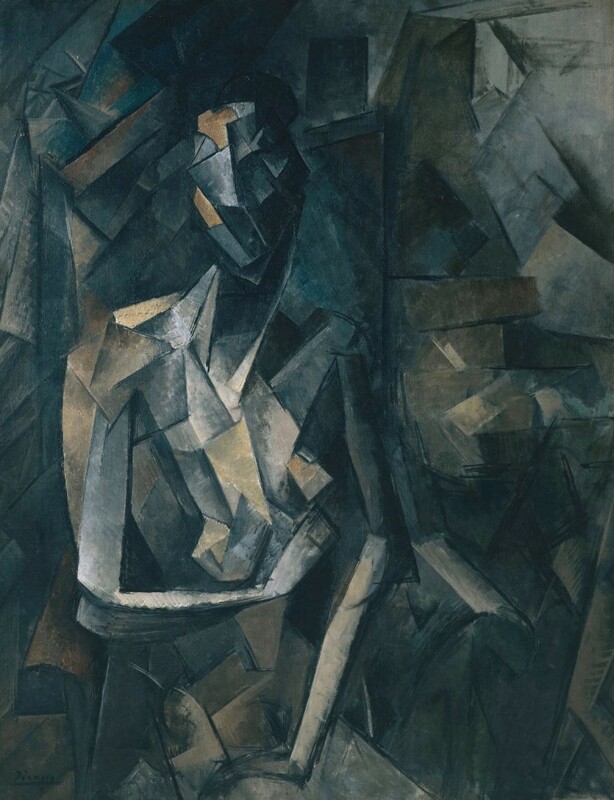 Movements such as Cubism and Surrealism made use of this artistic freedom. 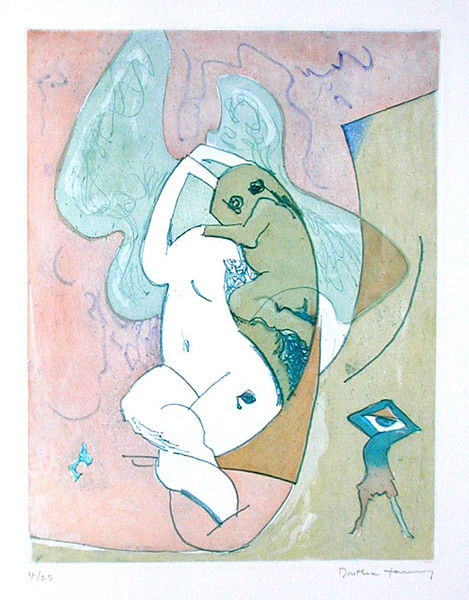 Dorothea Tanning (1910-2012), Etched Murmurs, etching, 1984. According to brain imaging studies, viewing beautiful objects translates into pleasure. In his book, Modern Art at the Border of Mind and Brain, art historian Jonathan Fineberg explains, “‘Art, like falling in love, simultaneously disorganizes and nurtures the self toward a creative reordering.” Beautiful objects that encourage creativity can range from art to architectural spaces while attributes like contrast, curvature, and symmetry are more pleasing to the eye and may be perceived as being more beautiful. 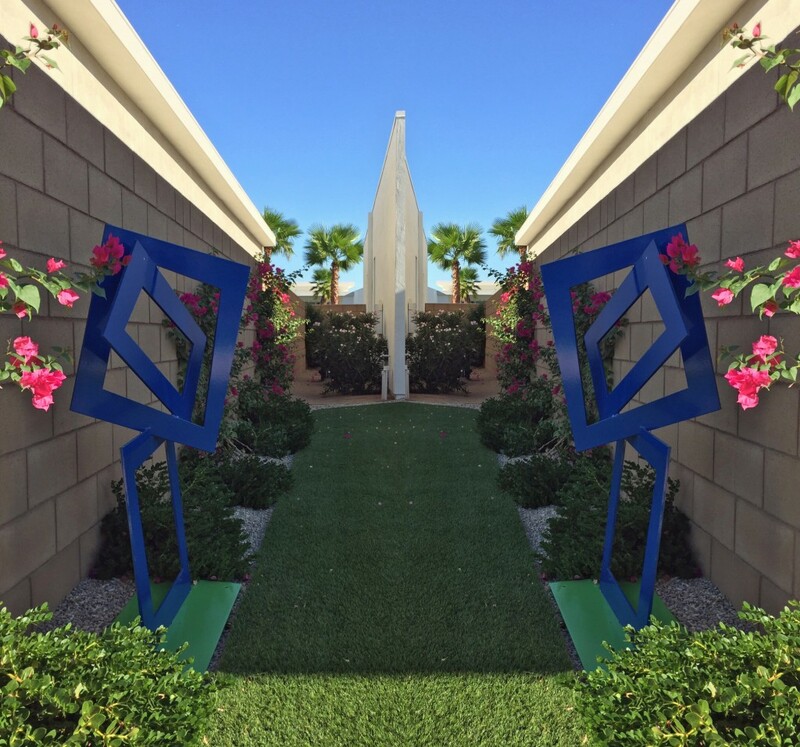 A mirrored image of our abstract outdoor sculpture, Closer, installed in a modern landscape. Free from the constraints of reality, abstract art engages visual processing within the early stage where we identify only simple components like shape, color, and movement. Exercising our brains in this stage allows us to explore new cognitive connections. Looking at an abstract painting or sculpture causes our brains to attempt to identify recognizable shapes. Finding none, our brains create new connections and encourage creativity. 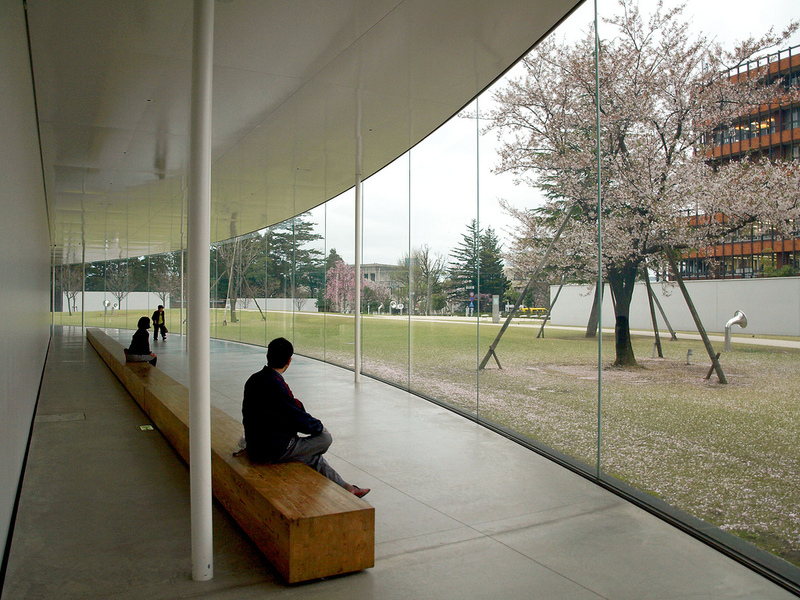 Visitors observing the sculpture garden 21st Century Museum of Contemporary Art, Kanazawa, Japan. Our brains feel rewarded by these new connections. Interestingly, brain imaging reveals that we recognize abstract art only when we fail to recognize it as a form of representational art such as landscape, portrait, or still life. Freedom from later stage object recognition allows us to tap into our emotions. In fact, abstract art is so deeply linked to our emotions that our responses depend on our inner state at the time of exposure. Our brains are free to connect to the art on a more personal and emotional level, making it a positive and rewarding experience. 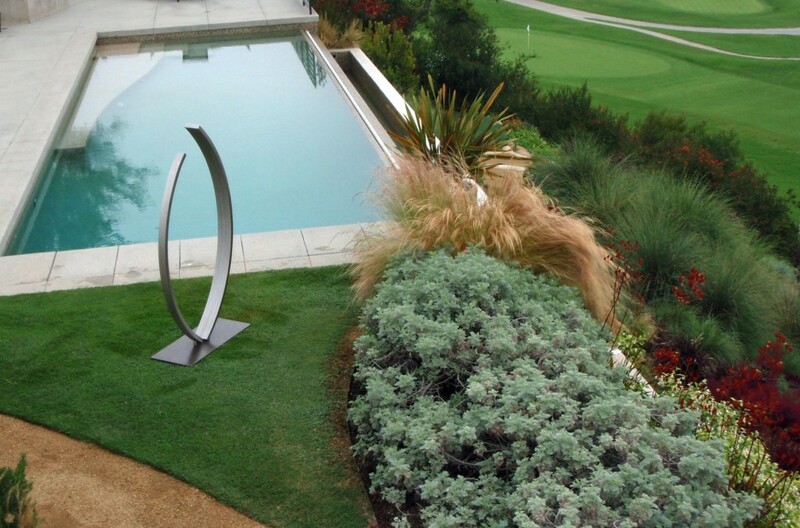 A private installation of our stainless steel abstract sculpture Embrace juxtaposed in a textural landscape, 2012. As abstract artists, we want you to deeply connect with our work. 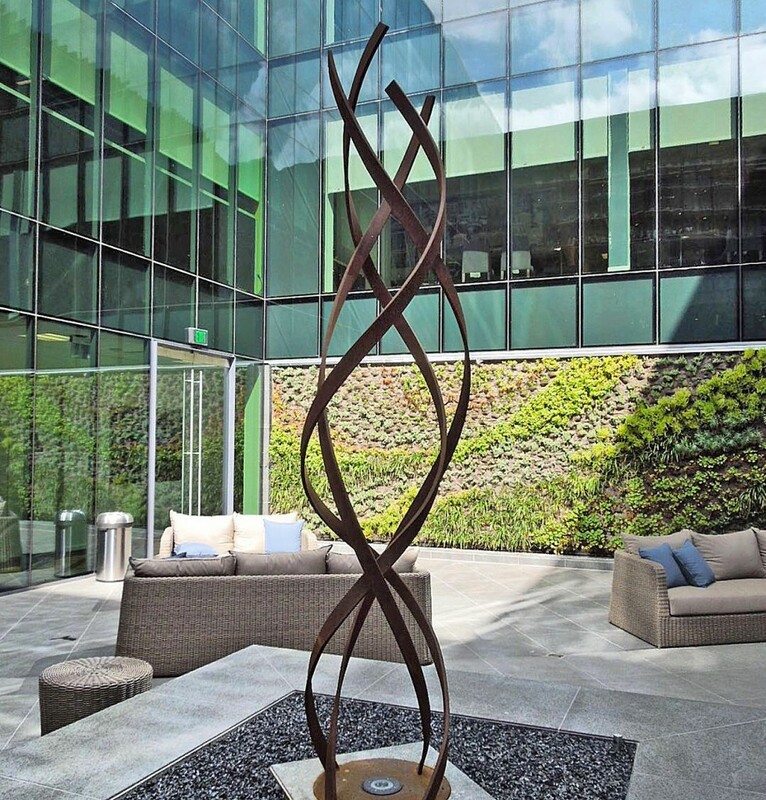 Our modern outdoor sculpture and contemporary interior sculpture include abstract elements which we hope reward with an impactful cognitive experience. Abstraction allows our pieces to function in many different settings reflecting back the emotion and environment of each, never the same experience.